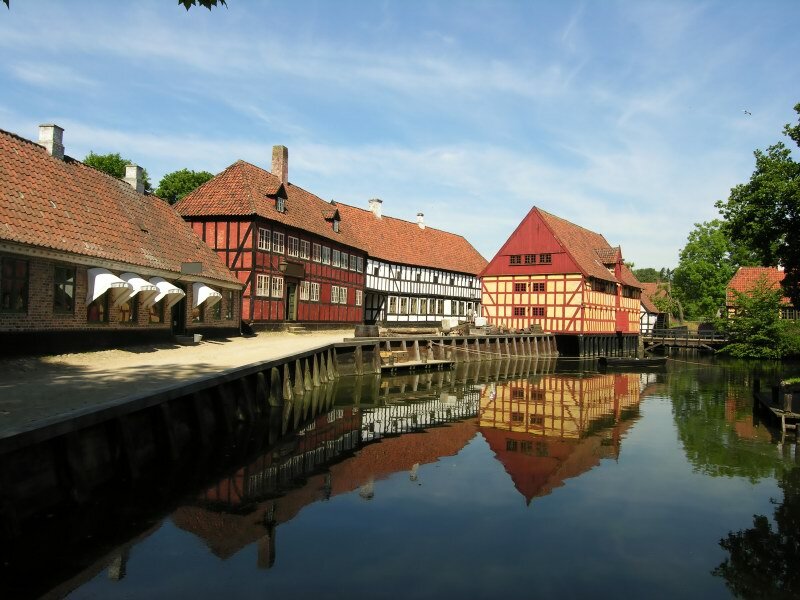 Denmark's second-largest city, Aarhus lies midway between Copenhagen and Aalborg. Dating from the time of the Vikings, Aarhus has beautiful trees and beaches and is a pleasant town to walk through. Sights include a cathedral, a music hall, Marselisborg Forest (home to Marselisborg Castle, where the Danish queen spends Christmas and summers), a palace and the 200-year-old Prehistoric Museum of Moesgard (displaying the 2,000-year-old, well-preserved body of the Grauballe "bog" man and many other artifacts from the Bronze Age and Iron Age). Plan at least a full day there. Behind the museum is a trail that winds past several historic sites (including an Iron Age house) through fields and forest to a sandy beach. One of the city's best attractions is the Old Town (Den Gamle By). Contrary to its name, it's not part of the town at all: It's actually a collection of almost 70 traditional country houses relocated there from across Denmark. Each house in this open-air museum is furnished in the style of its historical period. Fans of Danish modern design can explore the Town Hall, designed by Arne Jacobsen. The inside of the building is known for its arresting circular staircase and Popsicle-stick walls, while the tower offers a set of huge bells and panoramic views of the city. The redesigned city center also has nice outdoor cafes—perfect for a long summer night. If you're nearby in September, make it a point to visit during Aarhus Festival Week, when the city hosts concerts and other cultural events. http://www.visitaarhus.com.